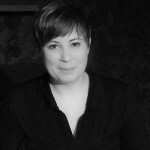 Elizabeth has been a freelance stage manager in the Twin Cities for over 10 years. As a stage manager she has worked with Pillsbury House Theatre, History Theatre, Jungle Theater, Mixed Blood Theatre, The Guthrie Theater, Penumbra Theatre, as well as others. In 2011 she took became the production manager of Pillsbury House Theatre. Elizabeth is a proud member of Actors Equity Association and holds a BFA in Theatre Production from Rockford College in Rockford, Illinois.